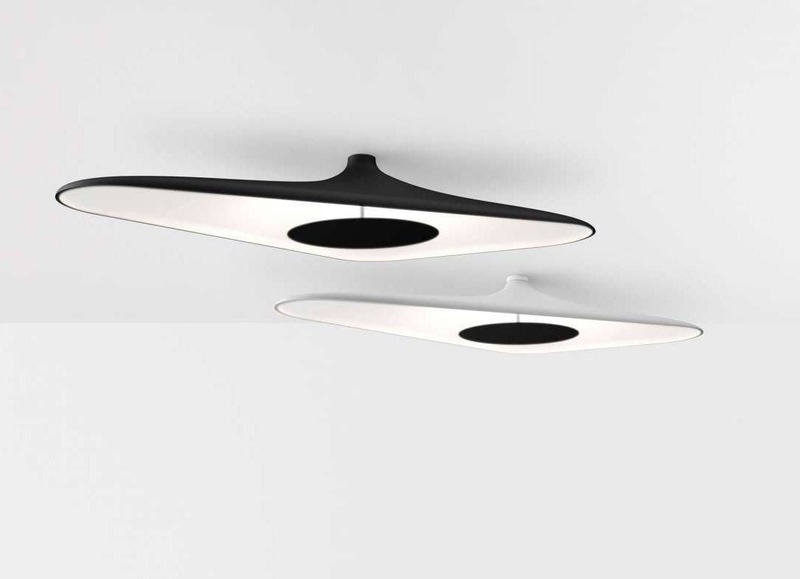 Soleil Noir is a lamp that interprets the theme of the chandelier through a technological, futuristic vision. 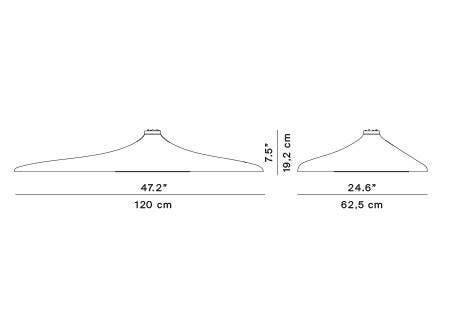 It comes with an avant-garde optical system to guarantee the uniform spread of light on the diffuser. 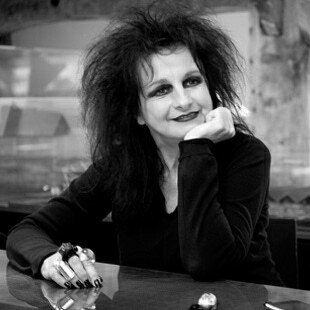 Odile Decq set up her own office just after graduating at La Villette in 1978 while studying at Sciences Politiques Paris where she completed a post-graduate diploma in Urban Planning in 1979. International renown came quickly; as early as 1990 she won her first major commission: the Banque Populaire de l’Ouest in Rennes. The numerous prizes and publications that distinguished the building underlined the emergence of a new hope directly born from the punk rebellion which turned old conventions upside down. By questioning the commission, the use, the matter, the body, the technique and the taste Odile Decq’s architecture offers a paradoxical look, both tender and severe on today’s world. She was awarded with a Golden Lion in Venice in 1996. Since then, Odile Decq has been faithful to her fighting attitude while diversifying and radicalizing her research. She completed the MACRO (Museum for Contemporary Art in Rome) in 2010, the Opera Garnier’s restaurant in Paris in 2011 and just completed the FRAC (Museum of Contemporary Art in Rennes) last July 2012.